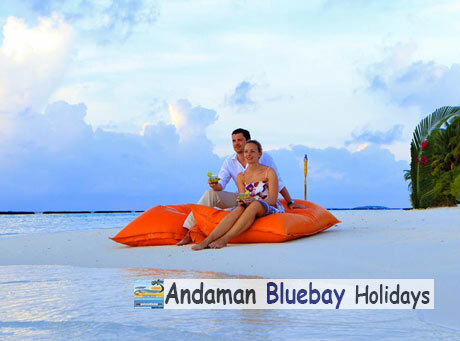 Andaman and Nicobar Islands is the most romantic refuge for sea lovers, honeymoon couples and even for family outings. Here I am with my Andaman and Nicobar Islands travel experience and some beautiful pictures of Andaman and Nicobar caught me. Andaman and Nicobar Islands is one of my favorite destinations especially if you are a sea lover and love water sports, than this island is for you. It is a perfect holiday destination for a honeymoon, adventure or even to explore the countryside. You can enjoy lots of activities or just watch the sunset or sunrise in peace. Andaman & Nicobar Islands are a group of over 572 islands, which makes it a dream destination for eco-friendly tourism. Tourists can visit Andaman group of islands Nicobar group of islands is out of reach for any kind of tourism activities, because a majority of people living in the Nicobar Tribal who do not like the interference of outsiders. The capital of Andaman & Nicobar Islands Port Blair and major languages spoken here is Bengali, Hindi, Malayalam, English, Tamil, Nicobarese and Telugu. The climate in Andaman & Nicobar Tropical and humid weather. There is no winter season on the islands. The rainy season occurs twice a year, Southwest monsoon in mid-May to September, and northeastern monsoon in November to January. The best time to visit the Andaman & Nicobar Islands is between November and April, when the weather is pleasant and less humid, so you can enjoy your holiday. Andaman & Nicobar Islands have world class beaches, beautiful coral reefs, lush green rainforests, an active volcano, and rich flora and fauna. The beautiful sandy beaches of Andaman & Nicobar Islands are lined with coconut and palm trees. 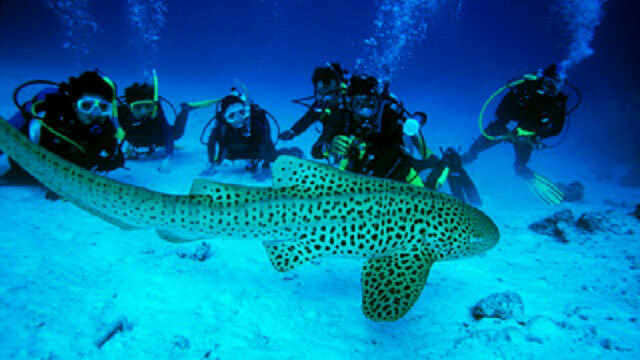 It is clear sea water offers excellent opportunities for water sports like snorkeling, scuba diving, glass boat, Jet Ski Ride are the real attractions. You can reach Andaman tow-only by air or by sea. In my opinion, by plane is the fastest and comfortable state to travel this beautiful island, but if you are looking for some cheap options so general passenger can choose whether they offer no luxuries and take about 3-4 days to reach Port Blair, which makes it a little difficult to travel. Getting Andaman & Nicobar Islands by air – Andaman the only airport is Vir Savarkar Airport in Port Blair connected to Chennai and Calcutta by air. Many airlines like Indian Airlines, Go Air, Jet Airways and many more offers daily flights to reach Port Blair. can be taken Flights to Port Blair from Delhi, Chennai, Kolkata and Bhubaneswar. Direct flights Kolkata, Bhubaneswar and Chennai take about 2.5 hours while flights from Delhi fly from Chennai or Kolkata take about 5 hours in total. Connecting flights are also available from Pune, Mumbai and Bangalore. Getting Andaman & Nicobar Islands by ship – You can use the regular passenger services (three to four races each month) to Port Blair from Chennai, Kolkata, Visakhapatnam and back. The journey takes about 50 to 60 hours and the ship normally berths at Port Blair for about two to four days. The Andaman and Nicobar Administration has introduced a single window system for the purchase of a class of ship and ferry tickets from any counter entire STARS (Ship Ticketing Advance Reservation System) network. There are many beautiful sandy beaches in Andaman equipped with luxury to budget accommodation. You can visit lots of places and the island to enjoy the serene beauty of this beautiful island. Some of my personal favorites are described below. Mahatma Gandhi Marine National Park, Wandoor as the name implies, the view of marine life in Andaman. You can experience the fascinating world of coral, 300 species of coral reef fish, starfish, sea cucumbers, dolphins, turtles and sharks in their natural environment. Some lucky visitors can also see the endangered dugong (sea cow). Tropical rainforest in the park is rich in many birds and mammals spices like Andaman pigs, civet cats, and bats. Birds like Andaman teal, whistling teal, parakeets and tore horn is common to vision. Rajiv Gandhi Water Sports Complex offers unforgettable water sports such as joy riding speed boats, Jet Ski & Banana rides. Boating from water complex up to Ross Island is an exciting experience. You can enjoy the artificial waterfalls here. 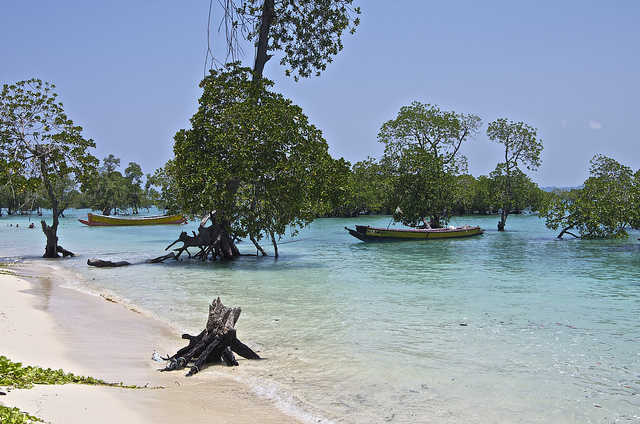 Havelock Island is the group of the island with beautiful white sand beaches. It is a paradise for water sports lover you can enjoy diving, snorkeling, bird watching, game fishing kayaking and more. Havelock associated with sea and air from the capital Port Blair. Radhanagar Beach, Vijaynagar Beach, Elephant Beach and Kalapather Beach are some of the famous beaches to enjoy sunbathing, sunrise or sunset view. Neil Island one of my personal favorite island in the Andaman is a small and beautiful island. You do not need to go to sea to see the coral reefs or marine life, the water is so clear here that you can see all these from the shore too. Lakshmanpur beach, Bharatpur Beach, Sitapur Beach are some beautiful beaches to visit in Neil Island. Sir Hugh Rose Island is locally known as ‘Chhota’ Neil (‘Small’ Neil) has been declared a wildlife sanctuary and a turtle nesting ground, but you need permission from the Deputy Range Officer, Forest Department at Neil Island to visit this island. You can enjoy snorkeling, scuba diving, Game Fishing in Andaman , trekking, biking, sunbathing, swimming, bird watching and many more activities on Neil Island. Baratang Island is famous for its beautiful beaches, mangrove creeks, mud volcanoes and limestone caves. You can see thousands of birds (parakeets) on Parrot Island in the evening. Obviously limestone caves are magical, and you will be surprised to see these natural creations here. Twin Islands is actually two islands Ross & Smith together by a sand bank to make a single group of islands. You can enjoy beautiful beaches and pearl green water here. These islands are home to the Olive Ridley turtles, so if you are lucky and be there at the right time, you can even experience the turtle nesting. There are many pockets-friendly to luxury resorts and hotels in Andaman. You can choose any of them according to your choice and budget. I prefer to stay in beach resorts as they offer private beach and water sports. We stayed at the Gold Star Beach Resort in Havelock Island and Tango on Neil Island is both good and pocket-friendly. Both resorts have owned beach and pretty good service within budget. 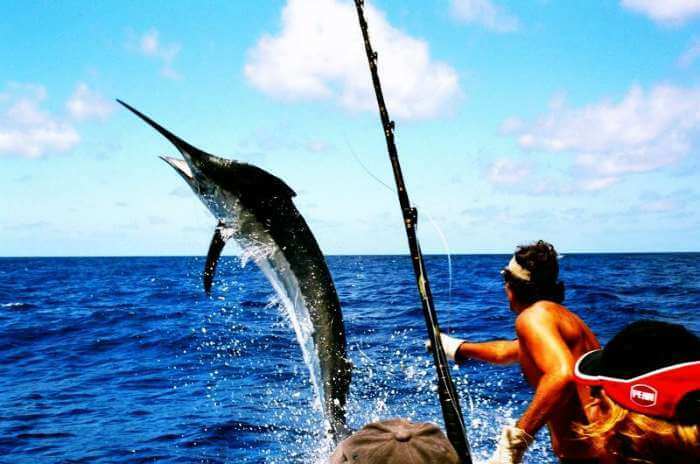 Andaman Islands Game Fishing – Big Game fishing in the Andaman Islands, one of the sport fishing last frontiers. Here you have a very realistic chance of catching fish in your life time. Andaman Islands offers world-popper casting for Giant Trevally and Yellowfin Tuna and also great marlin fishing action. Andaman Islands, is now being regarded as one of the best game fishing destinations in the world. Massive Tuna, Marlin and Sharks are abundant in these lightly fished waters. For one of the major big game fishing experiences throughout the world, try Andaman. 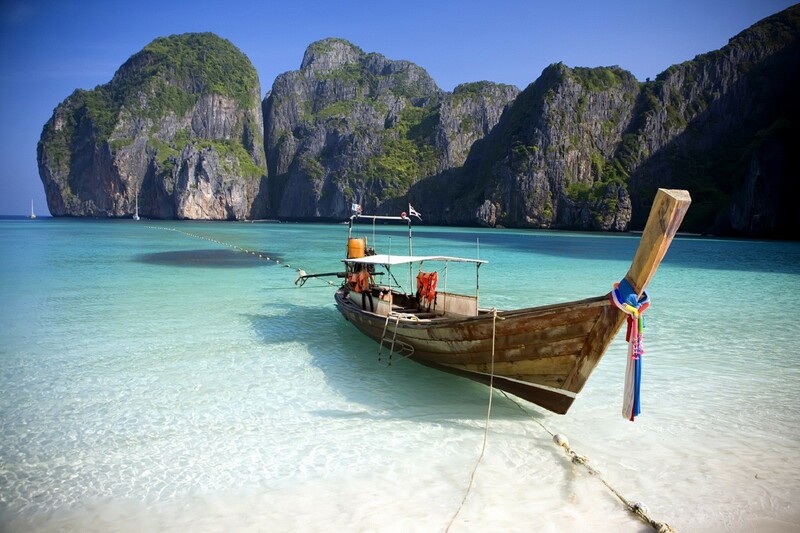 The Andaman Islands located 405 miles Northwest of Phuket, an archipelago of 329 islands in India. After 50 years of virtual isolation from the outside world, the Indian government lifted its limited access to the islands, and allowed limited environment-friendly tourism development. 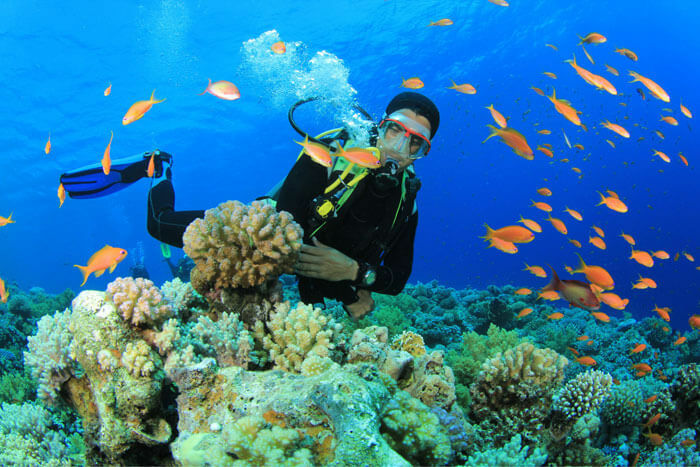 It is only since 1993 that the Indian authorities have allowed diving and sport fishing. It is a large area of nearly 8,500 square kilometers, dotted with tropical islands and a submarine mountainous landscape provides an almost unlimited playground for wild species and big-game fishing. We pioneered the first fishing trips to this magical area 8 years ago, which gives us the upper hand when it comes to the kind of experience and knowledge of the species, and also the best fishing spots. Along the East and West coasts Narcondam and Barren Islands, there are drop-offs of 1000-2000 meters depth, which attracts huge Black and Blue Marlin, Broadbill Swordfish, sailfish and a host of other highly sought after big-game species. Pretty much all the main techniques used here; trolling with or without down-riggers, bottom fishing with bait and jigs, popper-casting and fly fishing either from the deck of the boat, dingy or even from the rocks or beaches! Because of the extreme range of the Andaman Islands, it is imperative that the boat is properly equipped and in tip top condition as “Reely Nauti” and Fish Eagle certainly is! A freshwater maker is essential, along with strong reliable two engines, the usual safety essential; radio, satellite phone, GPS (with hand held back-up), life raft and jackets, etc. To match the size of the fish we have the heaviest best quality equipment available on board, including 2 sets of 80 lbs and 2 sets of 130lbs rods matched with Shimano Tiagra reels, 2 sets of 50 s, and 4 sets of 30s , again all matched with Shimano wheels. Onboard we jigging and popper-casting equipment and a wide range of proven jigs, poppers, lures and jet heads. If you want to fly-fish, you must bring your own equipment and flies. One of our favorite species of Andaman’s are Dogtooth Tuna, a massively strong fish are known to grow to almost 3 meters long, which is always ready to play ball. Trolling, jigging, Popper-casting bait, you name it these toothy predators with their ravenous appetite will hit something! Similarly, Giant Trevally which grow to scary sizes will hit your poppers and jigs with such force, the shock almost knock you off your feet! Around reefs and rocky areas other species susceptible Popper casting Coral Trout and Mangrove Jacks, the size of sushi lovers would give their right arm for. Jigging and bottom fishing is incredibly often produces a fish every time. Massive groupers, Job fish, Giant and Blue-fin Trevally, Barracuda, barracouta, Dogtooth and also very large yellowfin tuna, not to mention the sharks are all competing for bait. Key Targets for trolling in the area Marlin, sailfish, yellowfin and dogtooth tuna, Barracuda and Wahoo. On a trip to the Andaman’s, you can be picked up at Port Blair, or make the passage with us. The crossing takes about 2 days / 2 nights and can provide spectacular action with huge black and blue Marlin along with the other usual suspects that trolling attracts. Trips to the Andaman Islands aboard “Reel Nauti” 60,000 THB per day and a minimum of 5 days / 4 nights for a maximum of 9 days / 8 nights recommended for a maximum of 4 anglers. There is also a US $ 100 per angler city tax in addition to charter fee per trip. You need an Indian tourist visa to visit Andamans, you can apply for it at your nearest Indian embassy . Book Game Fishing Andaman Tour ..
As we all know that travel is one of the prime parts of our life and it is continuous process that is never going to be stop. In ancient era people use different options to travel from one to other location. In current era people uses latest and ultra sharp vehicle and other medium to travel from one to other destination. As the times goes on with the help of science, there are plenty of options to travel. In current era people use different medium to reserve seats in bus, train, flights. To ease the customers comfort and facility of customers one of the reputed and reliable destinations provides facilities to make things easy for them and make all the facilities quite easy and affordable. Yatra transaction system is completely transparent and it never asks for any additional charges from customers. At Yatra you can checkout Air ticket Pricing, Hotel Expenses and time table of various flights. You can take a gander at the openness and book the tickets. You can make your arrangements through site on Desktop, Mobile or Tabs. Yatra is connected with more than a lot of lodgings and aircrafts to lift client’s solaces and guarantee that nothing is out of their financial plan. Yatra captures almost 40% market of online travel business and globally recognize destination to book rooms in across the world. 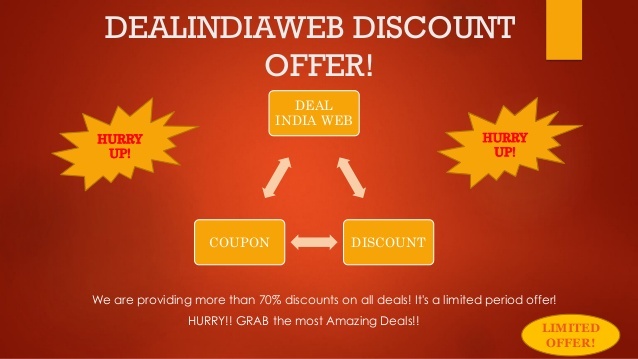 It would be ideal if you click here to get Yatra coupon and get a large portion of chance to spare your important cash sum. 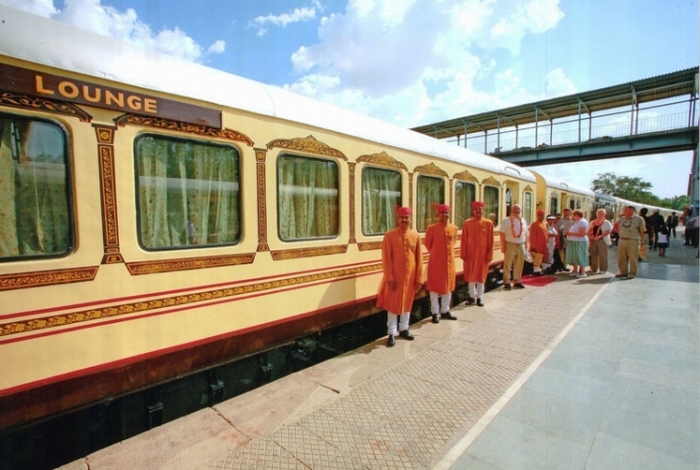 Essentially Yatra gives office of Domestic and International Flight ticket booking, railroads ticket booking, transport ticket booking, local and International inns room booking to facilitate the client’s issues and ensure that clients confronted no issue while booking tickets or inns rooms. To keep clients upgraded about the most recent offers and markdown related data yatra gives overhauls through its Social media stage like Google Plus, instgram, twitter, facebook or utilizing other commercial medium to keep things straightforward for clients. General one might say that yatra is the best place to get rich administrations in reasonable costs and to make trip much critical. Salman Khan one of the popular celebrities in India associated with Yatra not only as brand ambassador but as a share holder also. 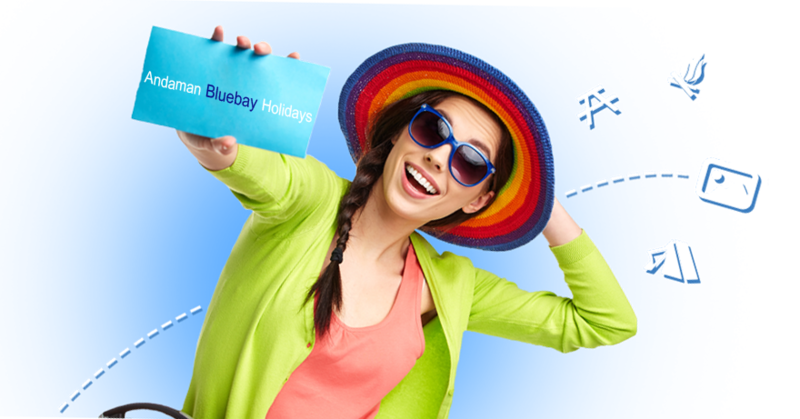 Yatra also provide various bonus offers to customers to make things easy for customers and provides extra facility to make customers happy and it will motivate customers to use services from next time to enjoy the same facility. To boost the comfort of customers sometimes yatra provides free trip of any beautiful destination. Yatra launches different services and offers for differ locations in across the globe. To make its services even more luxurious and comfortable, yatra is working with local tourist guide and working to search for local beautiful tourist spots. It is also using latest technology to keep things quite easy and customers friendly. Customers must use Yatra discount coupons to double up enjoyment of travel every time they use services of Yatra. Is passport require for visit Andaman and Nicobar islands? Andaman and Nicobar is one of the seven union territories of India, which was famous for ‘Kalapani’ during the British rule in India. The Andamans are separated from the Nicobar group by a channel (the Ten Degree Channel). The highest point is placed in North Andaman Island (Saddle Peak at 732 m (2,402 ft)). The Andaman cluster 325 islands which cover an area of 6,408 km2(2,474 sq mi) whereas the Nicobar group has only 24 islands with an area of 1,841 km2(711 sq mi). Port Blair,the capital of the union territory, is located 1,255 km (780 mi) from Kolkata, 1,200 km (750 mi) from Visakhapatnam and 1,190 km (740 mi) from Chennai. The northernmost point of the Andaman and Nicobar’s group is 901 km (560 mi) away from the mouth of the Hooghly River and 190 km (120 mi) from Burma. Indira Point at 6° 45’s10″N and 93° 49′ 36″E at the southern tip of the southernmost island, Great Nicobar, is the southernmost point of India and lies only 150 km (93 mi) from Sumatra in Indonesia. 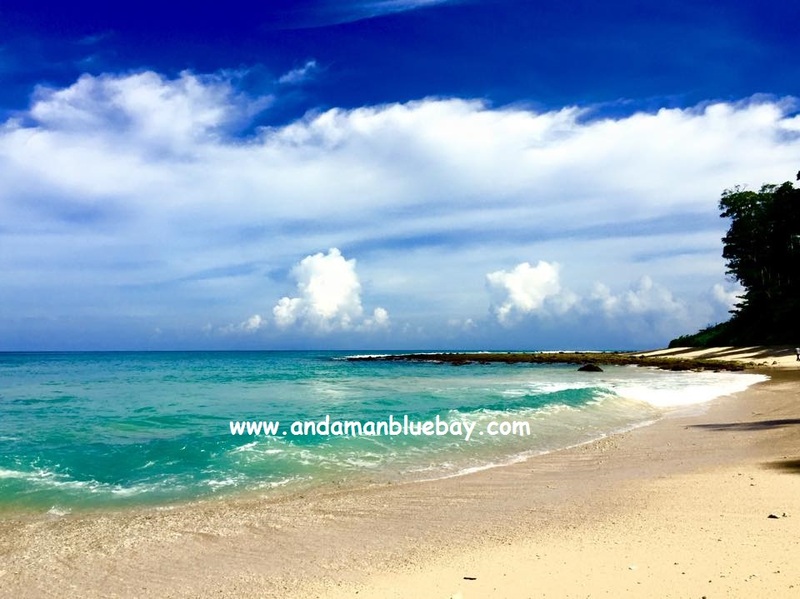 Andaman and Nicobar has a tropical climate with humidity about 80% and temperatures varying from 23 ° C to 31 ° C. The North East Monsoon sets in November while the South West Monsoon towards the end of May. Whether remains more or less uniform all through the year with neither extreme hot summers nor chilly winters, hence boating, swimming, snorkeling, sightseeing is open all 12 months an year. May to December is the main season for nature lovers as the forest is lush green and water falls are at their prime. 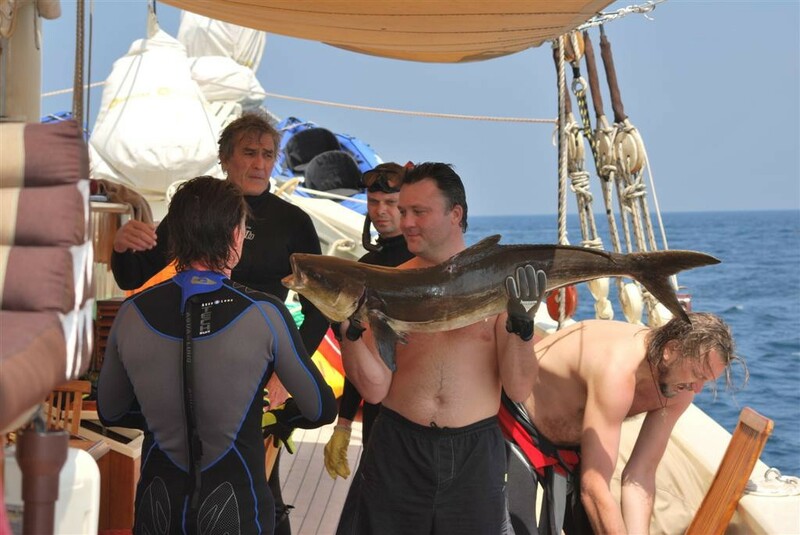 December to April is the best season for divers however bird watchers enjoy mostly the winter months. The most important thing when we talk about How to visit Andaman, does “passport” is required to travel for a visit in Andaman or not ? and the answer is no. Passport is not required for travelling within India by Indian Citizens. You just need and I.D. as identity proof. Passport is not required to travel in geographical boundaries of India. Nearest Airport Veer Savarkar, which is an International Airport located in the capital town of Port Blair, the gateway to Andaman and Nicobar Islands. Port Blair is connected with Chennai, Kolkata, New Delhi and Bhubaneswar by air. Air India, Jet Airways, Go Air, Spice Jet, Indigo & Air Vistara Airlines drive regular flights to Port Blair. Foreign chartered flights are also permitted to land at Port Blair in matter to the fulfillment of guidelines of the Directorate General of Civil Aviation. You can pre book your tickets from various Andaman tour and travel websites available online or from travel agencies available in the market. Tip for Air booking: Book your tickets three months before your trip date, you’ll get the best rates. Another mode of transportation to Andaman Nicobar Island is by Ship. Ship services are available to Port Blair from Chennai, Kolkata and Visakhapatnam and back. There are more than three sailings every month from Kolkata and Chennai to Port Blair and vice-versa and only one sailing for Visakhapatnam. The journey takes approximately 50 to 60 hours during fair weather. 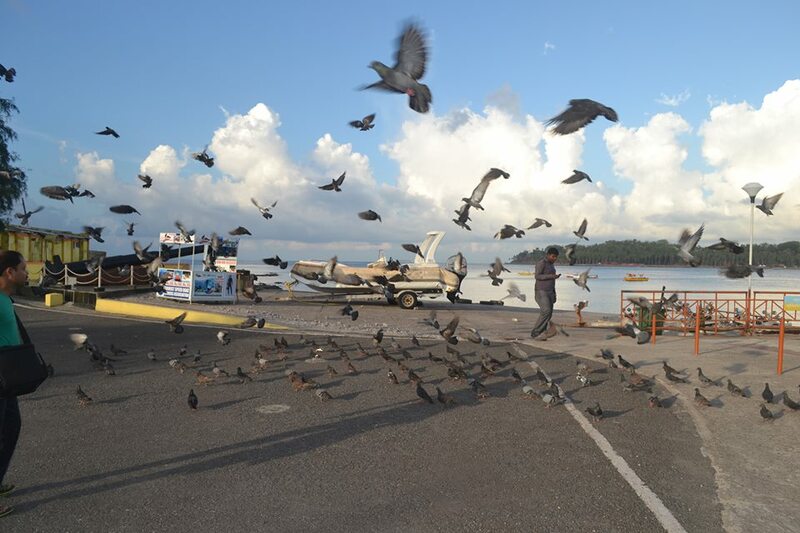 A & N Administration,the Directorate of Shipping Services, operates regular ferry services from Phoenix Bay Jetty, Port Blair in the inter-island and foreshore sectors connecting all populated island/tourist places. It also operates vehicle ferries to important locations and several Harbour ferries. Sailing schedules are published in the Administration’s News Paper – The Daily Telegrams (English Daily) and Dweep Samachar (Hindi Daily). Sailing schedules are also announced in All India Radio & Doordarshan besides official website. ‘STARS’ counters located at Phoenix Bay Jetty which is managed by the Directorate of Shipping Services also started issuing Tickets. You can hire private boats, operated from Aberdeen Jetty (Rajiv Gandhi Water Sports Complex), Port Blair to neighboring places like Ross Island, Viper Island, North Bay, Harbour Cruise etc. Private boats are also available at Wandoor (Mahatma Gandhi Marine National Park) for journey to Jolly Buoy and Red Skin Islands. Private luxury boats are operating are also available from Phoenix bay jetty, Port Blair to Havelock and back during season, cutting down travel time considerably. Sea-plane services for tourist is introduced by The Directorate of Civil Aviation, Andaman and Nicobar Administration for places like Havelock, Diglipur and Hut Bay. In addition, daily helicopter services are also available from Port Blair to other inter-island tourist destinations, such as Neil, Havelock, Diglipur, Hutbay etc. 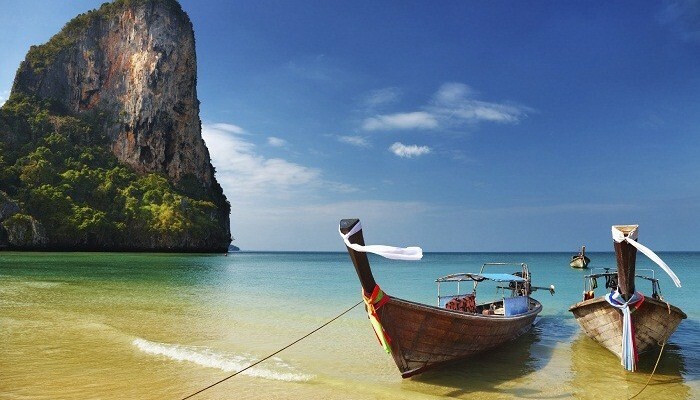 People are getting busy and hence getting stressed, Andaman could be the best way to relax. It takes you away from chaotic life to a totally peaceful place with less connectivity. It becomes easier for those who want to travel abroad but due to passport and other visa formalities they are unable, can choose Andaman Tourism instead. Andaman is also famous as Maldives in India both have white sand beaches which provides you water bodies lush in nature. It is the one of the best place for sea traveling, for nature lovers, for those interested in heritage and history and Indian independence struggle, education tours and adventure sports is one of the many reason to travel. If you need a pause and silence in your life then certainly this place is best for you. The Andaman is not the place for those who are looking for liquor and gambling – they might choose something else. On the other hand andaman nicobar islands tourism serve you with clean beaches, underwater corals, adventure sports like trekking, scuba diving, parasailing & other water sports, historical monuments, natural wonders, rich wildlife, plush green tropical island all await you here. 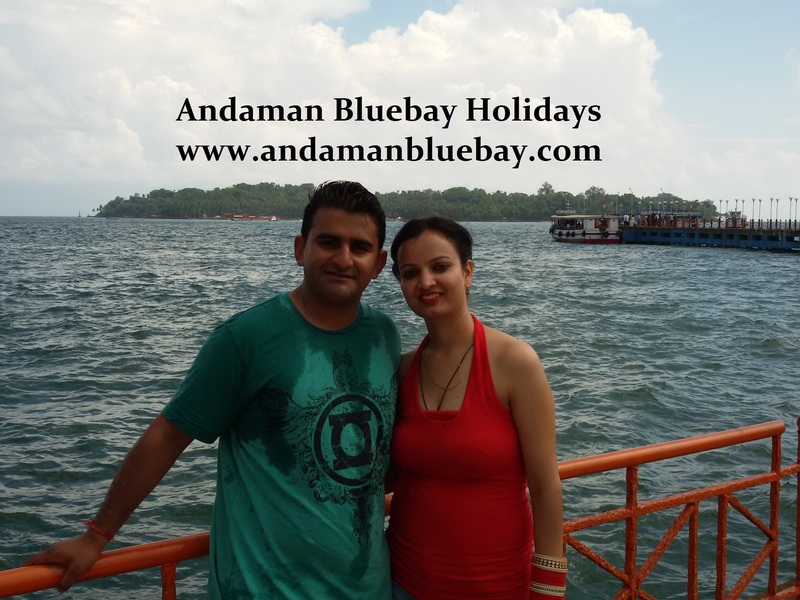 Andaman Island is the safest holiday destination to visit, there are no case cheating.